Notes of butterscotch, berries, caramel, and dark chocolate. A complex and full-bodied blend of fair trade organic coffees from Ethiopia, Nicaragua, Uganda and Indonesia. We’ve been fine-tuning our Fair Trade Organic Beaujolais blend for over twenty years. Evolving year by year with the arrival of new coffees and the addition of new origins, this blend is continually one of our richest, sweetest, and most complex roasts. The name Beaujolais pays homage to one of France’s oldest wine-making regions, an area that has defined quality in the culinary world for centuries. While our blend can’t claim such an established history, the aesthetic that inspires it traces through the history of specialty coffee in the Americas, and back to the finest coffeehouses of the old world hundreds of years ago. 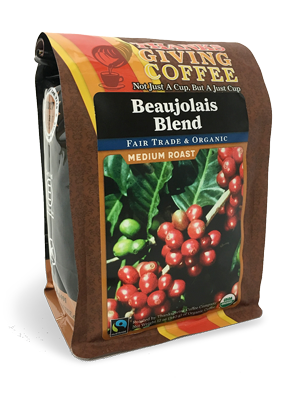 Organic Beaujolais is a blend of our favorite caramelly-brown Vienna roast combined in equal parts with our strongest espresso, richest Nicaraguan single origin, and our wildest natural-processed Ethiopian. 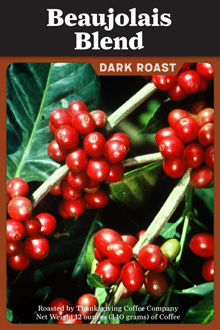 The richly-toned sweetness of this organic blend recalls notes of butterscotch, berries, caramel, and dark chocolate. 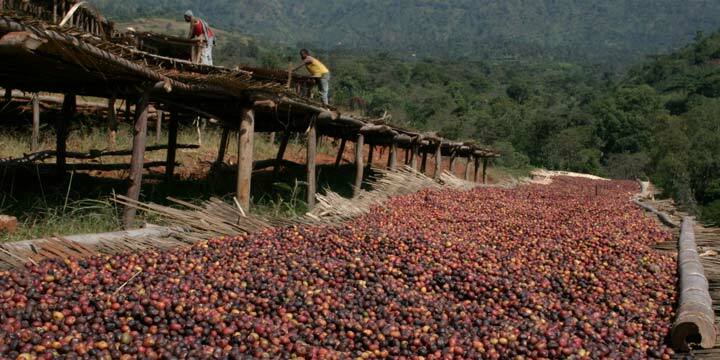 Fair Trade Organic coffee beans, blended together from four countries across the globe. Available in Whole Bean or Ground: auto drip, french press, espresso or percolator. From www.caffeineconspiracy.com/ of Eureka, California on 8/29/2012 . Thanksgiving Coffee was generous in sending us five 12 oz. free whole bean coffees to sample from their line of organic, fair trade coffees. Thanksgiving Coffee is an artisan coffee roaster in Northern California. Their slogan is: “Not Just A Cup, But A Just Cup”, referring to their social consciousness when it comes to their use of small farms and . 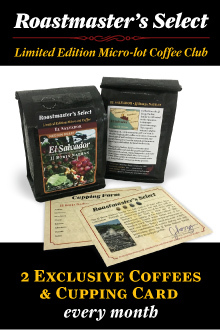 . .
Save 15% on your coffee order when you choose the 5lb bag! All 5lb coffee orders come in a single valved coffee bag. Keep your coffee fresh by storing it in an airtight container, in a cool and dark place. Grind your coffee fresh whenever possible!